We are pleased to announce that we have signed to partner with iconic global sports brand, Nike as our official kit supplier for the 2019/20 season. Beginning in Fall 2019, all of the RIASA student-athletes will be wearing Nike attire for the entirety of RIASA’s 10th Anniversary year, supplying the student-athletes with match day and training gear. 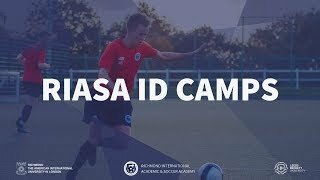 The RIASA and Nike partnership is another way that we are pushing to give the student-athletes the best experience possible whilst they are over in the UK with us studying, playing and experiencing life in the home of the sport, the UK.